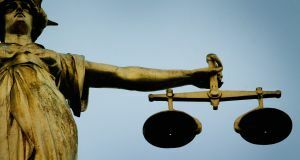 A man who claims he was physically and sexually abused at a Co Tipperary industrial school has lost his High Court case aimed at allowing him apply to the Residential Institutions Redress Board for compensation. The man claims he suffered severe beatings and sexual abuse after being committed to St Joseph’s Industrial School in Clonmel for two years during his youth. The board was established in 2002 to compensated those abused as children at industrial schools and other such facilities. The closing date for applications under the redress scheme was in 2005. The man first applied for compensation in 2008 and said he had not done so earlier because he had never been able to grapple with the shame and embarrassment of what happened to him. After the board refused to extend the time for bringing his application, he applied in 2010 seeking to have his case reopened. Following an oral hearing in which the man and his wife gave evidence, the board in early 2012 again refused to extend time. In 2016, the man brought High Court judicial review proceedings over that refusal against the board, the Superior Courts Rules Committee and the Minister for Justice and Equality. He argued certain rules of the Superior Courts concerning applications for extension of time to bring an action amounted to a substantial and impermissible restriction on the right of access to the courts. He also argued the board failed to take relevant factors into account, including the serious injury done to him, the extent of the abuse he suffered and the injustice he would suffer if denied an extension of time to apply for redress. In his judgment, Mr Justice Paul McDermott ruled the man’s failure to bring these proceedings earlier could not be regarded as being outside his control, the delay was “well outside the time permitted” and was “undoubtedly inordinate”. The court also dismissed the man’s challenge to the relevant court rules, saying those were proportionate, rational and fair. The rules provide a means of access to the courts to those who fall outside the permitted time limits and the conditions imposed are entirely consistent with fairness of procedure, the judge said. The rules provided a right of access to the courts for litigants who in justice ought to be granted an extension of time but disfavour those who “sit on their rights and fail to act when circumstances are within their own control”, he said. We shouldn't be a bit surprised from the Religious, State, the Justice System they are all cut from the same cloth I'm afraid.